There a three primary remedies for treating spots and spills on rugs and carpets. Depending on the type of spill, the age of the carpet, and how long the stain has had time to set, stains will remove differently and require different cleaning methods. Continue reading to learn all three carpet cleaning remedies, and what types of spills require which method. When dealing with carpets and rugs, preventative maintenance is the secret to prolonged life and luster. Carpet protection is vital in order to maintain long-lasting beautiful rugs and carpeting. Applying a carpet or rug sealcoat protector is a great place to start. These solutions add a layer of protection against daily dirt, dust, and debris. Also, having your carpets and rugs cleaned on a quarterly or annual basis, depending on the amount of foot traffic they see, to keep them in their best condition for years to come. First Remedy – Use a dry-cleaning solvent, like Carbona®, and be sure to follow all manufacturers’ instructions. Apply the product to the affected area with a clean dry cloth. Next, use a clean dry terry cloth or towel to blot away the excess liquid. Do this until all liquid is absorbed. Repeat if necessary. Allow carpet to dry completely in well-lit and ventilated area. Second Remedy – Use a standard laundry detergent mixed with water using the ratio 30 parts water to one part detergent. Apply this to the affected area with a clean dry cloth. Use a separate clean dry cloth to absorb up all excess liquid. Use ample pressure when blotting. Repeat if necessary. Allow area to dry completely. 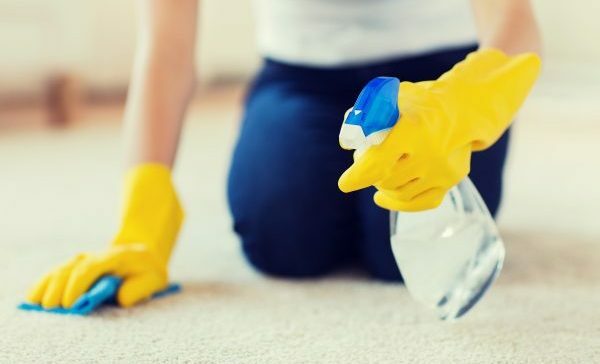 Third Remedy – Make a homemade carpet cleaning solution using rubbing alcohol and distilled white vinegar. Use the ratio one part vinegar to nine parts ethyl alcohol. You may use isopropyl alcohol instead of ethyl rubbing alcohol. Apply this to the affected area with a clean dry cloth. Use a separate clean dry cloth to absorb up all excess liquid. Use plenty of pressure when blotting. Repeat steps if necessary. Allow carpet to dry completely. 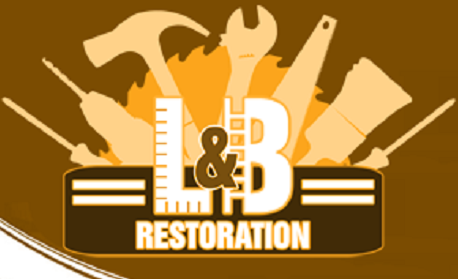 Call Restoration By L & B, LLC at 317-454-3612 for professional carpet installation and replacement in Indianapolis, Indiana. Our licensed and experienced general contractors provide a wide range of residential and commercial flooring services, including repair, installation, replacement, patching, removal, and more. Request an estimate, today. This entry was posted in Flooring Repair and Installation, General Contractors and tagged carpet care tips, carpet cleaning tips, carpet installation Indianapolis, carpet replacement Indianapolis, clean blood carpet, clean carpet stains. Bookmark the permalink.